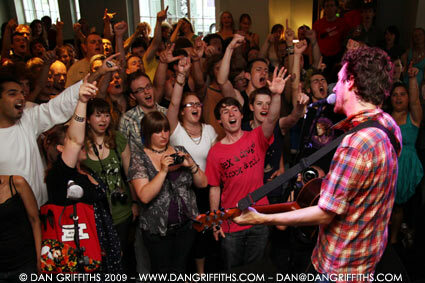 This photograph was taken at Frank Turner’s 24th gig in twenty four hours as part of the video shoot for forthcoming single ‘The Road’. The show was great and this final show took place at The Flower Pot in Kentish Town on Friday. See this image Large on Black. You can also see more images from the show in the gallery soon. Frank Turner’s new album ‘Poetry of the Deed’ is release on Xtra Mile/Epitaph later this year.